Atrium Health said its contract with a new anesthesiology provider will help patients save money and pushed back on claims that it unfairly dumped its old provider. Atrium ended its nearly four-decade relationship with Southeast Anesthesiology Consultants and is now being sued by Southeast. Southeast has also filed suit against the new anesthesiology provider and has accused both of working together to prevent them from keeping the business. Responding to the lawsuit, Atrium said it did not provide confidential business information to a consultant hired to review its anesthesiology care model. Atrium’s Chief Operations Officer Ken Haynes also denied that Atrium conspired with that consultant to oust Southeast Anesthesiology and its parent company, Mednax, from the market. “There’s no merit whatsoever in that lawsuit and we will defend it completely," Haynes said. 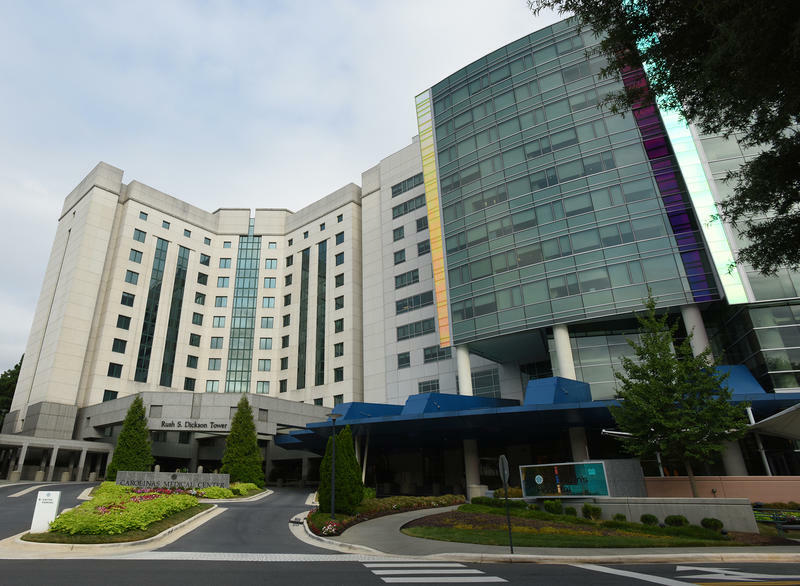 The consultant Atrium hired, Dr. Tom Wherry, and his newly formed company, Scope Anesthesia of North Carolina, will start with a new team of anesthesiologists July 1. When asked if Atrium is confident the new doctors will be hired and in place in 93 days, Haynes said Atrium hasn’t talked to Wherry since December when the contract was signed. “We know that based on the reputation and the reporting that you all have done from Dr. Wherry, that he will be successful," Haynes said. Wherry said he has nearly completed hiring for three hospitals and is halfway to filling the spots for the rest. What’s important, according to Atrium, is the makeup of medical practitioners that work together to give patients anesthesia for surgery. A big reason Southeast said it’s suing Atrium is because of proposed staffing changes in Wherry’s August consulting presentation, which showcased a number of models, including a model that could increase how many patients anesthesiologists take care of simultaneously. Both Atrium and Wherry say that model was not adopted. Atrium, Haynes said, will also be saving the system and patients money because patients will now get one bill instead of two. "The out of pocket component the patient will pay going forward will be less than what it has been historically,” Haynes said. Haynes also said a larger portion of money a patient pays will go to Atrium to pay for the nurses, who are already on Atrium’s payroll. That money will not go to Scope, the new provider.